NEW YORK, Aug. 6, 2018 — (PRNewswire) — Singapore Tourism Board (STB) has teamed up with Warner Bros. to celebrate the contemporary romantic comedy Crazy Rich Asians, one of the most hotly anticipated movies of this summer, and its Singapore flavor. Coming to theaters on August 15, the movie is based on the New York Times best-selling book by Singapore-born author Kevin Kwan. Crazy Rich Asians, which is primarily filmed in Singapore, showcases the city-state's vibrant and multi-faceted food, culture, and lifestyle scenes. STB, in collaboration with Warner Bros., is rolling out a suite of activities and events to fully immerse audiences in the Crazy Rich Asians experience, bring them closer to destination Singapore and whet their appetites for the food, culture and nightlife experiences available in Singapore. Movie fans can head to the "Crazy Rich Singapore Week", a pop-up event jointly organized by STB and TAO Group in Los Angeles, starring various Singapore creatives - an artist, a mixologist, a chef, and a DJ. See Annex A for more information about the Singapore creatives, and Annex B for more information on the experiences they will showcase at the Crazy Rich Singapore Week. "We are pleased to join hands with our valued partners, Warner Bros. and TAO Group, to bring the Crazy Rich Asians experience to consumers. We hope that the film will inspire more visitors to discover the multitude of experiences in Singapore and ignite their passions for culture, food, entertainment and nightlife. "At the same time, we also hope that fans will see that at its core, Crazy Rich Asians is about how human connections – formed out of love, family and belonging - transcend material wealth, and recognize that similarly, Singapore is the destination where visitors can strike up these treasured connections with like-minded people," said Ms Kershing Goh, Regional Director, STB Americas. Feast, drink and dance like you're in the movie at The Highlight Room by TAO Group Los Angeles. Savour dishes such as turmeric coconut curry of crab, calamansi, kaffir lime and beef short rib rendang (braised meat stewed in coconut milk and spices) by special guest chef Malcolm Lee of Candlenut, the only Michelin-starred Peranakan restaurant in the world. Enjoy a cocktail as Peter Chua, head bartender of Junior pocket-bar, an acclaimed 10-seater establishment in Singapore, serves up refreshing concoctions, inspired by Singapore-style coffee and the fragrant pandan leaf. 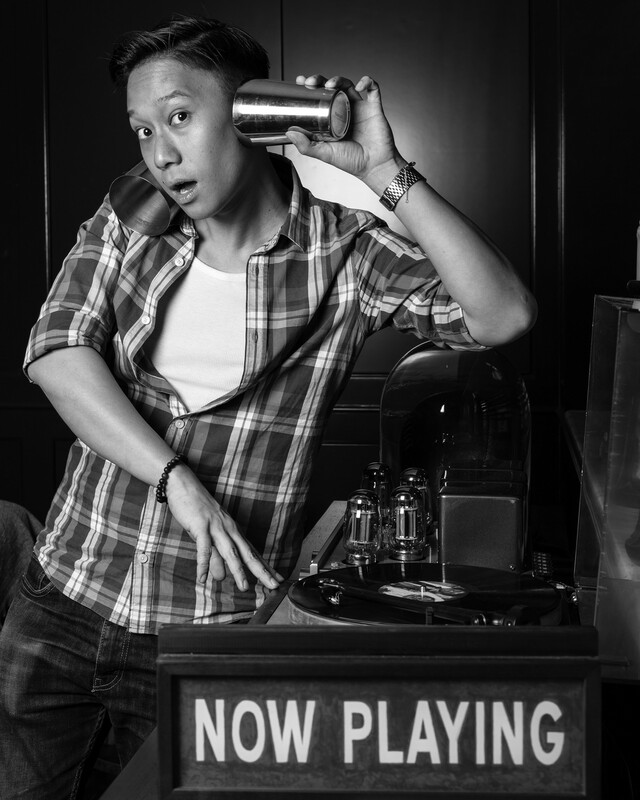 Groove through the night to hip-hop tunes spun by Singapore's acclaimed turntablist DJ KoFlow. Win a trip to Singapore - STB and Warner Bros. have teamed up to offer Singapore trip giveaways1, with each prize including two round-trip economy flights aboard Singapore Airlines, and four nights' accommodation at a four or five-star hotel. Embark on a specially curated Crazy Rich Asians tour package by Indus Travel – visitors will get to explore locations featured in the film including Merlion Park, cultural enclaves and Gardens by the Bay - which was where the "wedding of the century" was celebrated. Visitors also have the opportunity to embark on a Crazy Rich Asians fan tour to be taken through the best kept secrets of Singapore as mentioned in the book, and listen to the gossip and crazy rich tales of Singapore's elite. Immerse yourselves in the stories behind Singapore – Viewers can check out a series of fun, light-hearted videos, jointly produced by STB and Warner Bros. The "Crazy Rich Experiences" videos, hosted by three of the film's Singaporean cast, share stories behind the locations and cultures of Singapore featured in Crazy Rich Asians, while the "Singapore Trivia" videos test the film's main cast on Singapore's various iconic experiences. For more information on Singapore and the upcoming Crazy Rich Asians celebrations, go to www.visitsingapore.com. For more information on Crazy Rich Asians, go to: www.crazyrichasiansmovie.com. The Singapore Tourism Board (STB) is the lead development agency for tourism, one of Singapore's key economic sectors. Together with industry partners and the community, we shape a dynamic Singapore tourism landscape. We bring the Passion Made Possible brand to life by differentiating Singapore as a vibrant destination that inspires people to share and deepen their passions. For more information, visit www.stb.gov.sg or www.visitsingapore.com or follow us on Twitter @STB_sg. The contemporary romantic comedy Crazy Rich Asians is directed by Jon M. Chu and based upon the acclaimed worldwide bestseller by Kevin Kwan. The story follows New Yorker Rachel Chu as she accompanies her longtime boyfriend, Nick Young, to his best friend's wedding in Singapore. Excited about visiting Asia for the first time but nervous about meeting Nick's family, Rachel is unprepared to learn that Nick has neglected to mention a few key details about his life. It turns out that he is not only the scion of one of the country's wealthiest families but also one of its most sought-after bachelors. Being on Nick's arm puts a target on Rachel's back, with jealous socialites and, worse, Nick's own disapproving mother taking aim. And it soon becomes clear that the only thing crazier than love is family, in this funny and romantic story sure to ring true for audiences everywhere. Crazy Rich Asians features an international cast led by Constance Wu, Henry Golding, Gemma Chan, Lisa Lu, and Awkwafina, with Ken Jeong and Michelle Yeoh. The large starring ensemble also includes Sonoya Mizuno, Chris Pang, Jimmy O. Yang, Ronny Chieng, Remy Hii, and Nico Santos. Color Force's Nina Jacobson and Brad Simpson, and Ivanhoe Pictures' John Penotti produced the film, with executive producers Tim Coddington, Kevin Kwan, Robert Friedland, and Sidney Kimmel. The screenplay is by Peter Chiarelli and Adele Lim, based on the novel Crazy Rich Asians, by Kwan. The director of photography is Vanja Černjul; production designer, Nelson Coates; costume designer, Mary Vogt; editor Myron Kerstein; and composer, Brian Tyler. Warner Bros. Pictures presents, in association with SK Global and Starlight Culture, a Color Force/Ivanhoe Pictures/Electric Somewhere Production, a Jon M. Chu Film, Crazy Rich Asians. The film will be distributed worldwide by Warner Bros. Pictures, a Warner Entertainment Company. It is rated PG-13. 1The trip giveaways will be distributed through partners such as iHeartRadio, iPic, Travelzoo and The Knot. As chef-owner of the world's only Michelin-starred Peranakan restaurant, Malcolm is constantly looking for ways to both preserve and innovate the flavours of his youth. As a child, he grew up with the smell of spices from his grandmother's traditional Peranakan dishes wafting through his doorway. When Malcolm realised that life chained to a desk wasn't for him, he turned his lifelong passion for food into a career in the kitchen. 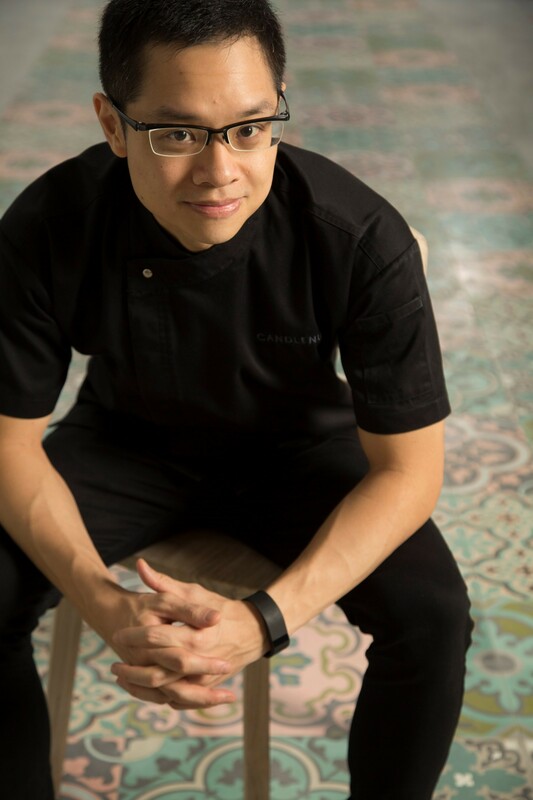 Being the first Singaporean recipient of the Miele Guide Culinary Scholarship and graduated from At-Sunrice Global Chef Academy, he worked his way from humble line cook to his current role as chef-owner of Peranakan restaurant Candlenut. Peter Chua is a creative, experienced and award-winning craft bartender who is known for his speed, hospitality and smile. He is the Head Barman of Junior, a high concept bar-within-a-bar with a rotating theme that changes several times a year. Peter brings his personal experiences, knowledge and travel inspirations to the programming of each concept, translating this into a unique guest experience. Peter also has multiple accolades under his belt - he was an Asia-Pacific finalist for the prestigious Diplomatico Rum Tournament, nominated as Singapore's Best Bartender in City Nomads' Readers' Choice Awards in 2015, and one of the Top 6 in the annual Diageo Reserve World Class global finals in 2014. Singapore's KoFlow (Wayne Liu) is an artist in every sense of the word. 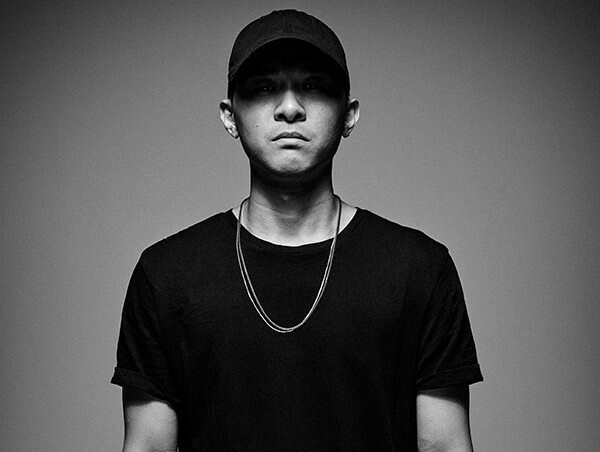 Having started off in the world of turntablism, KoFlow has evolved beyond that title into one of Asia's most respected performers. The 2003 Singapore DMC champion and World DMC finalist has performed with international artists such as Ghostface Killah and Raekwon of the Wu-Tang Clan, NAS, Mariah Carey and Kanye West. A familiar face in the corporate circuit, KoFlow has collaborated and performed for notable brands like Jaguar, Audi, Adidas, Nike, OBEY, Oakley, MTV, Redbull, Tiger Beer, and Chivas. He has also performed at festivals and showcases globally. They include Ultra Music Festival, Neon Lights and ZoukOut (Singapore), SXSW (Texas), CMJ Music Marathon (New York), A3C Music Festival & Conference (Atlanta) and Canadian Music Week (Toronto). 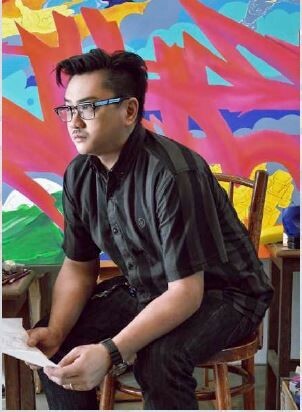 Born in 1976, Jahan Loh is Singapore's leading Pop artist and one of Asia's most successful street artists. His oeuvre revolves around street art and pop iconography and has exhibited internationally in New York, Melbourne, Beijing, Shanghai, Taipei, Hong Kong and Singapore. Over the last decade, Jahan had successful collaborations with major lifestyle brands in China, Singapore and Taiwan, such as Vans, CASIO, G-SHOCK, Adidas and Puma. In 2016, he completed two site-specific murals for the new Zouk Club at Clarke Quay. Recently, Subcrew presented "STASH x Jahan Outside-In" at Yo'hood, Shanghai – China's premier streetwear fair, where Jahan collaborated with popular New York street legend STASH for a live showcase. Influenced by graffiti artists from the 1970s and 1980s in New York, coupled with a deep immersion in the international phenomenon of Hollywood sci-fi, comic books and Asian manga and anime culture, Jahan has truly brought Singapore Pop art into the international limelight. This cocktail was inspired by our little island's unique take on a breakfast staple; coffee. Compared to 3rd Wave coffee where the beans are simply roasted, Kopi O beans are coated with sugar and margarine prior to roasting resulting in a coffee that is sweeter and slightly savory. Air Bandung or Sirup Bandung lends its flavors to this childhood inspired cocktail. Consisting of evaporated/condensed milk, Bandung syrup (rose flavored syrup), and water, Air Bandung (pronounced ai-yeh bun-dong) is a floral, sweet, creamy and refreshing drink. A deceptively plain looking leaf that packs a unique nutty and fragrant flavor, the Pandan leaf is extensively used in Singapore and the rest of South East Asia. Its flavors and attributes have garnered multiple uses from being used in cuisines to a natural pest repellent. Garden City is a site-specific mural that showcases iconic landmarks of Singapore, overlaid with text written in Singapore's four national languages – English, Mandarin, Malay and Tamil. Jahan has specifically chosen two colors – White and Blue to mimic traditional Chinese porcelain, where the juxtaposition of colors represents the diversity of cultures and the fusion of tradition and modernity which is unique to Singapore. For three nights only between Aug 9 and 11, DJ KoFlow will be playing at The Highlight Room. Beyond being a DJ behind the decks in a club, KoFlow is unafraid of pushing the boundaries and is now synonymous with large-scale collaborative performances. From the 80-piece Metropolitan Festival Orchestra to the 70-strong Samba bateria percussion group, KoFlow has made an indelible mark as a turntable instrumentalist. A respected advocate of Singapore's hip-hop scene, KoFlow is part of various pioneering music and cultural movements in Singapore; Radikal Forze (breakdance crew), Chou Pi Jiang (Mandarin rap-rock band) and Syndicate (audio-visual collective). He is also the founder of Solid Gold, the largest hip-hop party in Singapore.